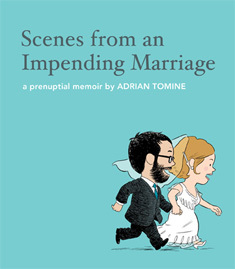 We can't think of a better way to celebrate Valentine's Day than with a lively conversation about love, marriage, parenthood and of course comics with the one and only Adrian Tomine. We discuss his latest book, "Scenes From an Impending Marriage", which humorously documents the dramas and DJs that he and his wife encountered on their way to the altar. Also of course we talk with Josh Frankel, our resident New Comics wizard about new and upcoming comics, as well as his magic-game addiction. So break out the heart-shaped candy and listen in! Love is definitely in the air!